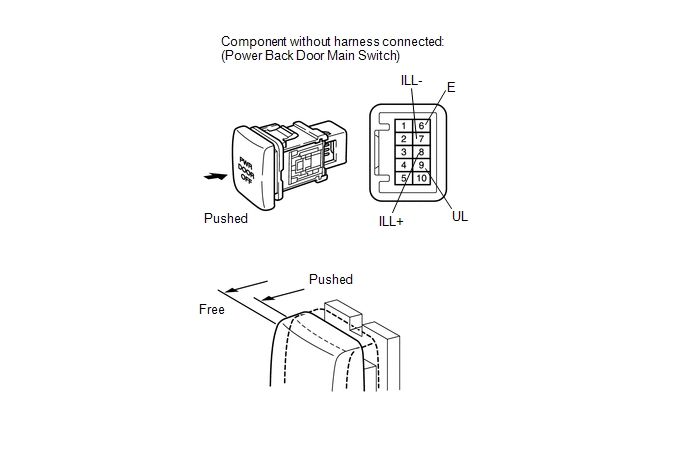 (1) Apply battery voltage to the power back door main switch and check that the switch illuminates. 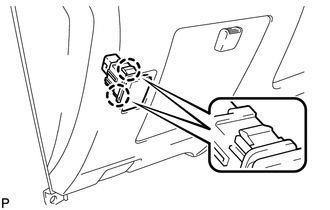 (a) Disengage the 2 claws and remove the power back door main switch. 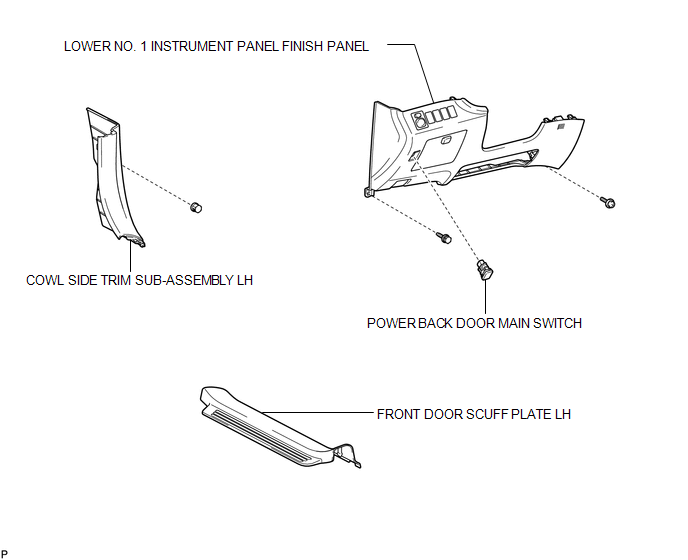 (a) Engage the 2 claws and install the power back door main switch.